2019 Annual "Spirit of Humanity" Awards and Dinner Gala on Friday, April 26 at 6:00 p.m. 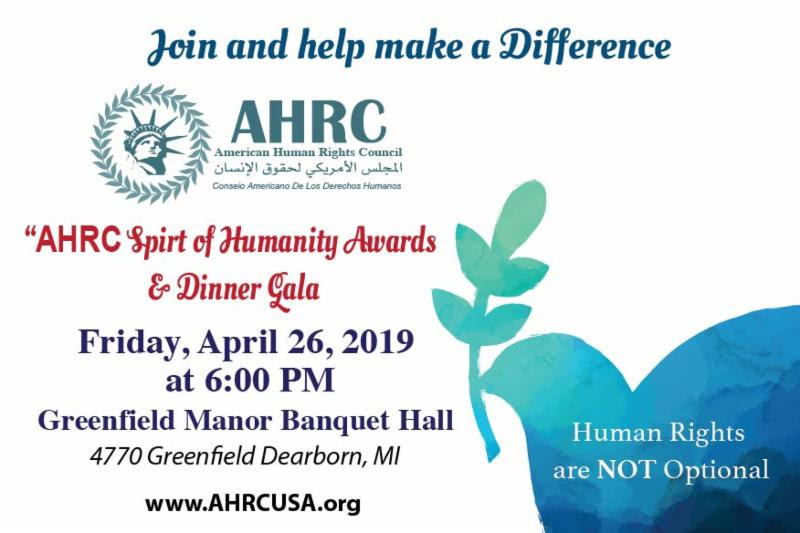 The American Human Rights Council (AHRC-USA) is pleased to announce the date for its Annual "Spirits of Humanity" Awards & Gala Dinner that will be held on Friday, April 26, 2019 at 6:00 p.m. at the Greenfield Manor Banquet Hall in Dearborn. Further information regarding the Gala and its anticipated program will be announced in the future. This anticipated "Spirit of Humanity" Gala is promised to be spectacular and memorable. trustee fiduciaries is a fast-growing area of law, and trustees of SNTs can be especially vulnerable. Trustees must be cognizant of their powers, duties, and responsibilities in administering trust property not only to protect the interests of the trust beneficiary but also to protect themselves against this increased exposure to liability. This article analyzes the challenges and risks trustees of SNTs must consider before holding real property in a trust. Veterans and others with substance abuse, trauma and other mental therapy related issues can help themselves and others at the same time thanks to a non profit organization, Prevention Concepts and Solutions, Inc, (PCS). The Romeo-based organization offers veterans a chance to address their issues related to mental health, substance abuse or trauma by helping to train police dogs that will be donated to law enforcement and/or psychiatric service, emotional support or therapy dogs to veterans. The program is run by co-founders, David Dudek and Jason Foltz, both residents of northern Oakland County and is currently on the short list to serve as a treatment and counseling option for Macomb County Courts.